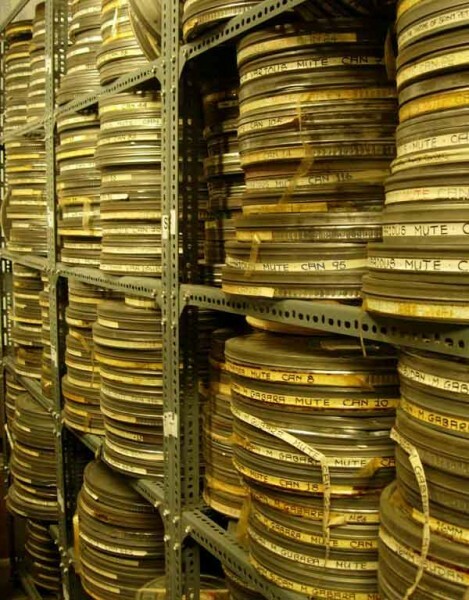 The Museum has a large collection of safety film of all gauges, including adverts, trailers, B-movies, public information films and newsreels. 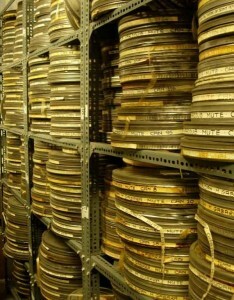 Additionally, nitrate films are in secure storage at the BFI National Archive, with whom the Museum collaborates. Many unique films have been saved, copied and preserved by the Cinema Museum, including around 80 titles from the Blackburn-based Edwardian film pioneers Mitchell & Kenyon, and a collection of silent colour travelogues from early last century. In 1997 the Cinema Museum was awarded the Haghefilm prize at the Pordenone silent film festival for the restoration of a group of fiction films from the Blackburn-based Mitchell & Kenyon company, dating from 1899-1906. In the late 1990s Cinema Museum embarked on a collaborative restoration project with other European archives, funded by the Raphael programme of the European Commission, resulting in the creation of a DVD titled Exotic Europe, about travel in Europe shown in film from 1905-1926.